If you’re like most companies, Salesforce is one of your most important cloud investments and you’ve likely noticed that it has grown to become one of the most powerful application ecosystems today. With over 10 million customers, Camping World specializes in selling recreational vehicles, recreational vehicle parts and services, and camping supplies. 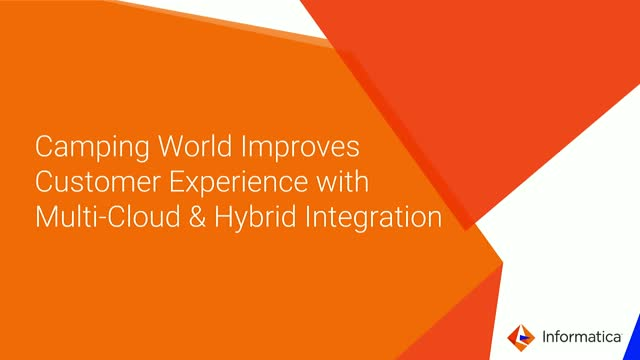 Join Terry Britt, Enterprise Architect at Camping World, as he takes you through their journey leveraging Informatica Intelligent Cloud Services to integrate their Salesforce environment with multiple applications running on-premises, such as Oracle EBS, and in the cloud with Heroku.